Bring up the subject of a nonprofit’s bylaws and you are sure to get an interesting response. For many nonprofit’s, their bylaws are just some forgotten document, full of legalese, gathering dust in a file cabinet somewhere. No one on the current board of directors knows who prepared them, nor what any of the provisions mean. They certainly are not referring back to them for any reason. For a nonprofit that actively uses its bylaws, the bylaws can be an interesting glimpse into the organization’s governing psyche. Are they control freaks…or just the opposite? One fact is sure: a nonprofit’s bylaws are considered a legal document that dictates how the organization must be governed. Failure by a board to follow the stipulations outlined in the bylaws can have devastating consequences to the organization…and potentially even to the board members themselves. Since bylaws are such a big deal, it stands to reason that what they contain and how they are used should be taken extremely seriously. But what about that? Let’s take a look at some Dos and Don’ts regarding nonprofit bylaws. DO: Get assistance in drafting or amending your bylaws from an expert experienced in nonprofit matters. This could be an attorney or a professional services firm like Foundation Group. 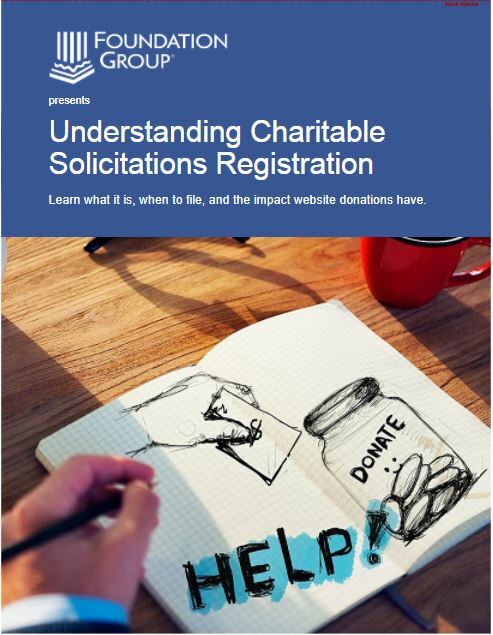 Two words of caution here: 1) Don’t assume your attorney understands nonprofit issues. We have helped fix countless attorney-prepared bylaws, and 2) Bylaws are a legal document, so using a non-attorney professional means you are getting self-help assistance. It is still the board’s responsibility to have input into the provisions and to vote to adopt the final product. DO: Stick to the basics. It is a good practice to think of your bylaws much like the US Constitution. Like the Constitution, your bylaws should deal with only the highest level of governing issues such as: Organizational purpose, board structure, officer position descriptions and responsibilities, terms of board service, officer/board member succession and removal, official meeting requirements, membership provisions, voting rights, conflict-of-interest policy and any other non-negotiables that your governing body deems necessary. One critical element often erroneously omitted is the provision for amending the bylaws in the future. DO: Know what is in your bylaws. As a board member, you have a duty to understand what each and every provision means. If there are provisions you do not understand, ask another board member or consult a professional. DO: Follow the provisions religiously. You not only have a duty to understand your bylaws, you are legally accountable for following them. This is not optional. A court of law will side with your bylaws in any dispute brought by another board member, an employee, volunteer or recipient of services who may have a grievance. DO: Keep your bylaws relevant. Times and circumstances change…and your governing document should reflect those changes. If your bylaws need to be amended to reflect current realities, do it. Make sure the changes make long-term sense (see below) and follow the amendment procedures as outlined. DON’T: Treat your bylaws as a policy and procedure manual. We have seen bylaws that contain everything from employee vacation rules to the organization’s anti-smoking policy. These are totally inappropriate for bylaws. Create a separate policy manual for management purposes. Again, think Constitution vs. US Code (laws). DON’T: Include provisions that tie the hands of future boards. I currently sit on the board of an HOA with absurd provisions that negatively affect all homeowners. But, amending them requires a 2/3 approval of every member eligible to vote (about 200 households). We can’t get 2/3 of the members to vote, much less get super-majority approval. Think long and hard about the downstream consequences to all provisions. DON’T: Fail to review the bylaws. At least annually, all board members should re-familiarize themselves with the provisions. This will go a long way toward preventing costly errors. New board members should be provided with a copy immediately upon installation. 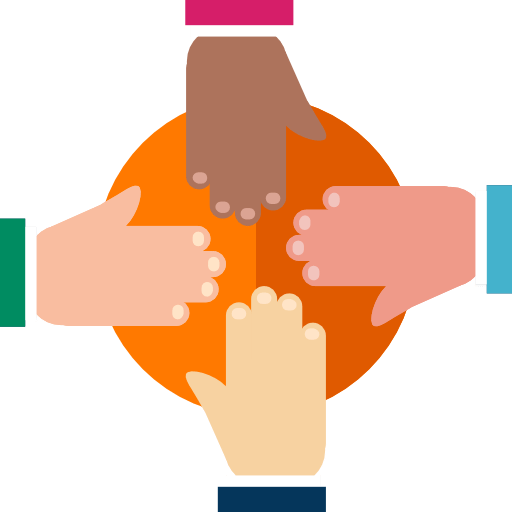 Proper use of an organization’s bylaws not only provides the necessary structure to effective governance, it eliminates the willy-nilly guesswork so common among ineffective nonprofits. Good governance establishes a foundation for good work. I am a member of Alcohoics Anonymous and I have a question regarding our mission statement and bylaws for our club where we meet, which is a 501c3. Our mission statement (or charter) states that our purpose is to provide meeting space for Alcoholics Anonymous and Ala-non family groups. That is our entire statement. We have club members who are wanting to allow Narcotics Anonymous and Cocaine Anonymous to meet at our club. Some club members (one of which is a charter member) is saying that we are not allowed to do so, per our mission statement, and that if we do, we could lose our 501c3 status. We are holding a board meeting this week to discuss and this is why I’m reaching out to find out, for sure, if we can or can not allow these other fellowships to meet at our club and if we need to change our mission statement if we decide we want to in life them. Any information. You can provide is appreciated. Hi, Lisa. The governing body simply needs to meet to decide whether it would like to expand its programs to additional target groups, and then amend the purpose statement within the bylaws, and likely the organizing corporate documents with the state. With the program activity being essentially the same, the 501(c)(3) status does already support the expansion of the target audience under the approved charitable purpose. Even if no amendments were made to the corporate and governing documents, the IRS would consider this a natural expansion of the approved programs, which would not jeopardize the 501(c)(3) status. I hope this helps! That definitely helps. Where would I get a copy of the original bylaws that were filed with the IRS. And, what about UBI? If we have soda machines, fundraisers, etc so that we can pay the mortgage and keep the lights on, is that acceptable? Recently our chairperson resigned from the board. Do we need to refile now or can we wait until our annual refiling date? If you have a vacant spot on your board, the first thing you should do is follow the guidelines of your Bylaws to find a replacement. You can report the change on your next Form 990 filing. Hello Greg, I’m not sure what to do here. I fell like I need to report a company I know but I am not sure how to go about it or if they are even breaking the rules. I think this company is paying for this persons home, car, and I know her grandkids cell phone bills but I don’t know if any of that is legal or not or if I should even do anything. What would you suggest I do? Sorry if this is off the current subject but I could post on a more related blog for some reason. You should first contact the leadership of the nonprofit (I’m assuming the company you are referencing here is a nonprofit organization). If it’s something the leadership team is aware of, it is up to them to correct any noncompliant activity or else they could become personally responsible and subject to fines by the state. You could also try reaching out to the IRS directly at 877-829-5500. Hi Greg, if a non-profit has an appendix that is referenced in their bylaws, can I, as a member, have access to this appendix? If the appendix is in the P & P and is only available to board members? Thanks! A nonprofit’s Bylaws are considered to be public record, so the board members should be able to give you a copy of them. Greg, I am a volunteer working with a group of citizens trying to get answers about a recent decision by our local nonprofit hospital. We asked the board chair for a copy of the bylaws and she said they are private and referred us to the hospital administrator. Is this correct. Aren’t they part of the public record? When a nonprofit files for tax-exempt status with the IRS, they must include a copy of their bylaws in addition to the application. Because their tax-exempt application is public record, then yes, bylaws are public record by extension. You should be able to get a copy of either the bylaws. Perhaps the hospital administrator will help you out a little further. We are a small local charitable club having 501(c)(3) status. How difficult and what are the steps involved in amending our bylaws. A bylaw section currently states officers can serve no more than two consecutive years in an office. We are considering amending that. We’d appreciate your input. Bylaws of a nonprofit can be amended by a majority vote of the Board of Directors. Be sure you have the majority of board members present, and that the vote is documented in Meeting Minutes. The problem is that a long time ago, we had a much larger membership, and something called the “voting staff” that voted on such things as who would be the Director and Leadership team. If they were on staff for more than a year, they were able to join the “voting staff”, and decide who their leaders / board were to be. This seems crazy to me… that 20 year old’s are voting on major issues of a ministry. So, in the bylaws, it has many decisions that are supposed to be decided by this voting staff entity. Currently, there are people on the voting staff that we believe would be agreeable to amending the bylaws to change it to a board run ministry. Most of them realize that we have been functioning differently than our other missions centers in different states. (The “voting staff” would vote themselves out basically, so we could change it.) Is this even feasible, or would it endanger our 501c3 status somehow? Bylaws of a nonprofit can be amended by a majority vote of the Board of Directors. Because this is a matter for the Board of Directors, it doesn’t seem like the voting staff needs to be involved, unless the current draft of the Bylaws states differently. Be sure you have the majority of board members present, and that the vote is documented in Meeting Minutes. If an amendment is approved, it would be in your best interest to inform everyone involved in the management of the nonprofit so they are aware of the adjustments decided upon by the board. I’m a former member/student/employee of a local non profit that is for the public educational martial arts school. 12 years ago I resigned my post as an instructor and was then denied admittance into any of their sponsored events. I recently received an email from the exec. Director asserting they have a policy against my inclusion. I’ve never harmed this organization nor anyone in it. No criminal acts were committed by me, and no remedy-able(sp.?) offenses were explained. Is this possible, that they have incorporated a policy? And if so, do I have a right to see it? And can I ask for public disclosure of the minutes and the board members who were responsible? Events put on by a nonprofit organization should be open to the general public. You should be able to request a copy of this policy, and if you feel that this matter needs to be taken further, speak with an attorney. Hey Greg, I work for a non-profit that owns a very profitable product and they decided to create another company that is a for-profit company to make money out of this one product. This new for-profit company is selling this product and making a killing (we are talking about $25MM a year), but this new product is still being made (and provide phone and technical support) by employees working and getting paid under the non-profit company. Is this legal to have your staff being paid using tax breaks and having them “give” this product to the for-profit to sell? Thanks. Can you cite any laws in regards to this so I can read? thanks in advance. It depends (that’s a common answer in our world!). If the for-profit is a wholly-owned subsidiary of the nonprofit, and the profits from the activity are accounted for by the nonprofit as unrelated business income (which is taxable), it might be mostly OK. 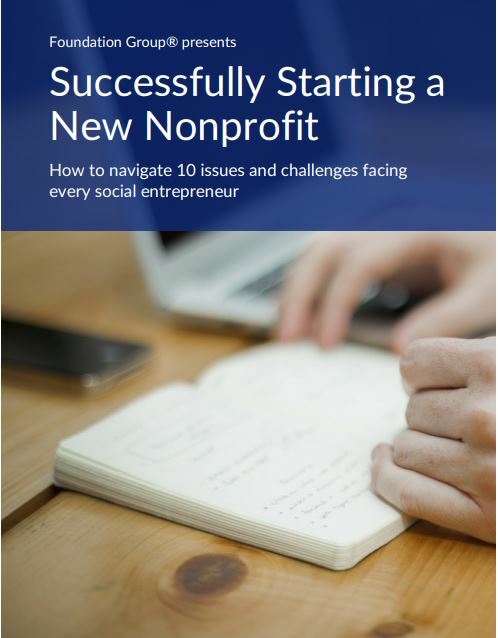 If, however, the for-profit is owned by individuals and operated outside the control of the nonprofit, and these profits are benefiting any interests other than the nonprofit, there are huge legal problems. If the workflow is happening like you describe, and it’s not a subsidiary unit, this is a violation of the inurement prohibition, which basically describes the act of an insider unfairly benefiting from the actions and/or resources of a nonprofit. Persons responsible for this, particularly board members, can be hit with fines up to 200% of the amount in question…each individually. If it’s egregious enough, it could be criminal. At the dollar amounts you describe, I’d be very considered if this is operating outside the control of the nonprofit. Is a qualified 501(c)(7) organization required to notice the IRS/TE-GE of a change to the organization’s governing documents that has the effect of substantially changing the organization’s exempt purpose…charging all non-resident non-members a fee to enter upon the community’s private gated property for any reason whether related or unrelated to the exempt organization…however, the entry fee, for whatever purpose, is paid (revenue) to the exempt organization. If so, by what means? Usually, this sort of change in acknowledged when the organization files its annual IRS Form 990. There is a question on the Form 990 that asks if any changes have been made to articles or other governing documents. A “yes” answer then requires an explanation. Keep in mind that a change large enough to alter the organization’s exempt purpose, or classification as a 501c7, may result in the IRS following up for more details. Regardless, you should report the change. I was approached to run for an executive board position for a school’s HSA (home & school association (which is the same a PTO or PTA)). I accepted to run as co-president (which the by-laws say I can do). The principal and current president (the presidents term ends June 30th) asked to meet with me and told me that they don’t really want a co-president “because working with one person has just worked better”. I advised them the by-laws state differently and they just said they should change them. The principal has also defamed by character and slandered me for something that someone else did about 10 years ago. I never did anything wrong but yet the principal has said (when I commented to him “are you saying I’m guilty by association?” He replied “yes”. I never did anything wrong. I have been voted in as co-vice president. After the elections, I was told that I needed to provide a criminal background check. Since I was a school bus driver, I alteadu had a criminal background check with my state police and FBI done in 2015. This school’s HSA by-laws say I can “provide proof of a background check already provided by another organization”. Yet, I am being told that the criminal background check must be by a specific website (which the by-laws do not state). There are so many inconsistencies with what the by-laws state and what they tell me (which I feel they are making up as they go along because the principal doesn’t like me). What recourse do I have? I would like to sue them for violating their by-laws (as I told them “I don’t make the by-laws, I just read and follow them” as well as defaming my character and slandering me. What kind of attorney would I need to seek? This is great and timely information. Our 501(c)(3) ski club has been around for over 60 years, and has run well until recently. The last two boards don’t seem to have any familiarity with the bylaws, or just don’t care (I’m not sure which). The have ignored the specific clause in the bylaws that says the club must be run “in accordance with the wishes of the general membership” (not just a few), and have also tried to make changes to the bylaws to eliminate member input on how the club is run, with said attempt also being made in direct violation of how changes to the bylaws are to take place. Several long-term former board members strongly and repeatedly advised those two previous boards of the transgressions they were committing, even pointing out previous advice from legal experts as to why they shouldn’t make the changes they insisted upon making for the benefit of just a few members (i.e. those changes expose both the club and the entire board to litigation). All of that fell on deaf ears. What risks have those two boards now exposed the club/membership to and what recourse do members have with a board that doesn’t take the bylaws seriously? Quite a bit of risk overall, actually. Any stakeholder, whether member, director, or even a key donor…basically anyone who has legal standing…can sue the organization for failure to abide by organizational bylaws. It’s a serious matter, as bylaws are legally binding on the corporation. The only exception to this is if the bylaws themselves are somehow not compliant with state or federal law. I doubt that is the situation. A case I was an adviser to several years ago saw a group of former church members sue their old church and its board, claiming they were removed from the member roll in a method contrary to that outlined in the bylaws. After a 3 week trial and over 50 witnesses giving testimony in open court (I’m not kidding! ), the judge agreed with the former members, ruled that the existing board were immediately stripped of power, had their membership terminated, and the plaintiffs were installed as the new board! Your renegades are running reckless. Hopefully you can talk some sense into them. Good luck! Technically speaking, a nonprofit’s Bylaws could include a provision that requires board members to live locally as a condition of service. An HOA, for example, may require all board members to live in the neighborhood the HOA serves. However, such a restriction may result in difficulties if you decide to expand the board or need to replace members, depending upon the circumstances. I am in the early process of establishing a non-profit. I am doing this by myself, I am very green and I am in need an assistant, I am unsure as to which type of org to go with, a public charity or a private foundation. I don’t have an endowment but the mission is to raise consciousness and appeal to every able adult to donate to at-risk children around the world. I am not sure if I would funnel donations to public charities such as “Save the Children” or if the non-profit would also include a way to distribute funds directly to the needy. I am wondering if you have any advice for me and if you might be able to advise me about how to find a qualified and non-profit assistant to help. I am an incoming executive director for a non-profit. Years ago the board voted in a request by staff/employees (all management heads) to have a vote in the Board of Directors meeting. 1) Shouldn’t be board members alone have the vote on business matters for the organization? 2) Should I push to change the by-laws of the organization/board members to change it? There voice should be heard but I don’t believe that the employees should be voting at board meetings. Am I off base by thinking this? Your instinct is correct. Board members should be the only ones voting in a board meeting. The only exception might be certain issues that the board wishes to get employee buy-in. Even then, it should be done infrequently. Employees with full voting rights in a board meeting essentially have governing authority with no liability or accountability. Even in a member-run organization, members typically only vote on issues brought before the membership by the board. Greg, you have an extraordinarily informative site. Question: I am looking to access the bylaws of a California nonprofit. They are unwilling to disclose this information to their employees and members. Is there anything I can do to obtain this info without legal action? If you are a stakeholder of some sort, there should be no reason to deny your access. Even if you are not, such items are generally subject to public record if the organization is a federally recognized 501c3. If your appeals to the board are getting you nowhere, you may find it difficult to without legal action. You could request from the IRS a copy of the organization’s original tax exemption application which should include the bylaws from that time. Of course, the IRS wouldn’t have any updates or amendments to the bylaws post-501c3 application. My guess is that if an attorney contacted the board on your behalf, you’re likely to see a change in attitude. Good luck! Having just completed the by-laws for my nonprofit the rampAtheater Inc, I found this article informative. I have a few changes to make. Thank you. IT’S GOOD ADVICE WHEN IT COMES FROM SOMEONE LIKE YOU, WHO IS CURRENT AND KNOW THEIR STUFF. P.S. EMAIL ME YOUR TAKE ON BROAD EXECUTIVE AUTHORITY. For Minstry 501c3, not a Church, Just Ministries/ Outreach, etc. Excellent post Greg. Like Gayle I appreciated the Constitution vs US Code – makes it an easily understood concept. I’ll be forwarding this on to a few clients – thanks! As a consultant to nonprofit boards, I see lots of bylaws in the course of a year and most of them make me cringe. I want to reinforce how seriously US courts take the bylaws. We’ve had at least two cases locally in which disgruntled donors or members took action … both came down to what the bylaws said. Thank you for such a straightforward approach. I really appreciate the Constitution vs US Code metaphor and plan to use that from now on to help explain the difference… giving full credit to you, of course.